Read more about Evolution 2: Battle for Utopia on our blog! Evolution will always keep on going. Prepare yourself to witness another side of evolution. Sit tight, as you are about to embark in a breathtaking story about the universe of Utopia, with elements from multiple game genres, like RPG, action, strategy and a classic third-person shooter. The Utopia as we all know has turned into a living hell, taken by monsters and evil robots. A war is on its way for some time now, and the saddest new is that, just like Evolution, you are about to face a never-ending combat. Play Evolution 2: Battle for Utopia on PC and Mac with BlueStacks fight against powerful enemies using anything you can put your hands in, from intergalactic weapons to psi-energy. Captain Blake needs your help to use his super-powers to give an end to the catastrophic times you are about to face in your journey. Upgrade your characters, improve your skills and simply make the best you can to beat down all the enemies that are brave enough to cross your way. 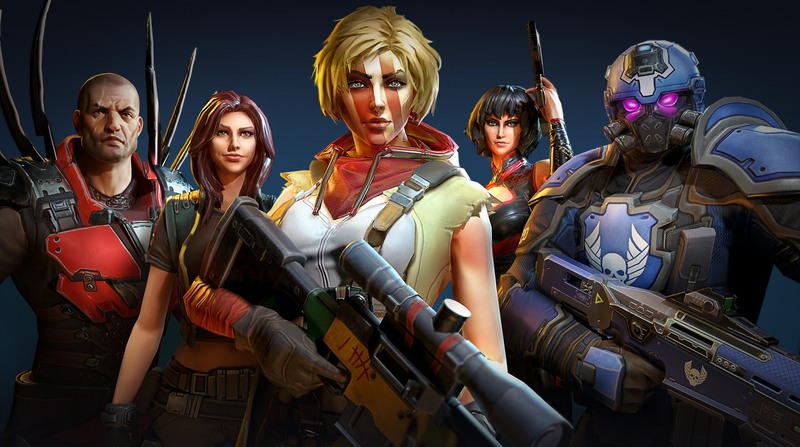 Download Evolution 2: Battle for Utopia on PC with BlueStacks and let your epic intergalactic adventure begin right now! Why play Evolution 2: Battle for Utopia on Bluestacks? Play Evolution 2: Battle for Utopia. Redeem your BlueStacks Points. Get rewards! Evolution 2: Battle for Utopia is a game which exemplifies the thought BlueStacks put into developing keyboard controls that feel intuitive and responsive. 6 You're all done! Enjoy playing Evolution 2: Battle for Utopia on your PC. Talking about Evolution and all that comes along with it, how about taking your gaming experience to another level? Call it future, call it evolution, it is up to you. Do you know how we call it? The new and improved BlueStacks, the most powerful gaming engine ever created by men! Download Evolution 2: Battle for Utopia on Windows 7, 8, 10 with BlueStacks and improve your skills and increase your talent by using some of the most incredible features you’ve ever seen in your entire life! We truly believe that the player should be the one making the calls, no matter what title he is playing. From your interface skin to your command scheme, feel free to customize and put your preferences in everything regarding your game. Advantages like the Keymapping tool, the Combo Key macro feature, the Multi-Instance mode and the Repeated Tap are waiting for you, and all you need to do is bringing your favorite titles to BlueStacks. How about it? Try it and let us know what you thought of it. Spoiler alert? You are going to simply love it! The evolution of online gaming! We are always looking on ways to make your gaming improve. A good suggestion for you to do the same is comparing your talents and abilities with other players. This is the perfect way of seeing how much you have improved in the last few months. Play Evolution 2: Battle for Utopia on PC with BlueStacks and you will get the opportunity to stream your game in real time with just one click, via your favorite social network, like the Twitch.TV, for example. Socializing is an important part of gaming, and as soon as you realize it, the better!